Who doesn’t love a Birthday Cake? 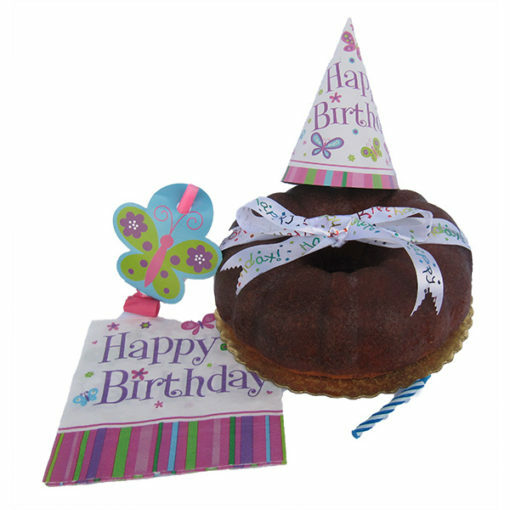 Send our most popular HoneyBell Orange Bundt Cake in a Happy Birthday Package. We will put a Happy Birthday Ribbon around cake, stick a 4″ Birthday Candle in the Bow and include a Happy Birthday Party Hat, a Happy Birthday Napkin and a Party Blow-Out to help the celebration. The HoneyBell Orange Cake is available without the Birthday Celebration.